Over in the corner there was a fellow, sitting there half awake, and looking like he had been sleeping in the Park for a week or so. He was in his 40s and did not look happy. I could identify with that. 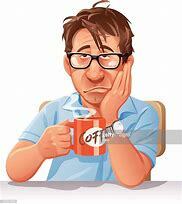 It was only 7 AM and I was not fully awake either. The guy took a couple of sips and then got up from his chair, started rooting around in his backpack, and pulled out what looked like a small carpet. That is exactly what it was. To me it was a carpet sample. To him it was his Prayer Rug. 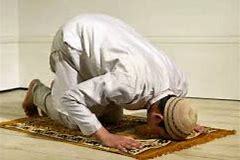 He put it on the floor in the corner by his table, knelt down, and proceeded to do his Islamic prayers toward Mecca. 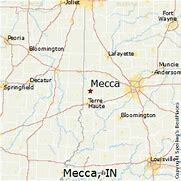 Now…there is a town in Indiana called Mecca, but I’m sure this fellow was interested in the other Mecca – the one in Saudi Arabia. This was the first time I had ever heard such silence in St. Arbucks. The only sound was the quiet devotional prayers coming from the man in the corner. When he finished praying, after about five minutes, he got up, rolled up his carpet, and munched away on his Cheese Danish. I thought that was the end of it. What more could happen to top that? Well, let me tell you. Ten minutes later another fellow came into the Chapel and sat down, joining our Cheese Danish nibbler. They chatted for a couple of minutes when – out came the Prayer Rug again and the newcomer took care of his morning prayers. My only question about this whole event with these two guys was that – not that I am an expert on Islamic rituals – it seemed to me that they weren’t doing it right. I have always thought that such prayers were to be aimed in the direction of Mecca (The Saudi one). If that is so, then these two guys were hopelessly lost. From our location in Terre Haute (That’s French for, “Are there any Cheese Danish left?”) to the Mecca in Saudi Arabia is definitely to the South-East. These two chaps were aiming their prayers to the North-East. Either they had lost their compass or they belonged to an Islamic sect that prays toward Norway. I may be wrong, but I just found it curious. These two guys have never returned to St. Arbucks. That leads me to think that they were pilgrims trying to get to Mecca (Saudi) to complete their Hajj (look it up) and had made a wrong turn somewhere near Toledo, Ohio and had ended up in Mecca, Indiana. With their prayers mistakenly aimed at Norway I do not hold out much hope for them. If their wanderings continue for much longer I’ll wager that they end up somewhere in Alabama as Southern Baptists.